Running in the Cold is Actually Good for You! Just because the weather has reached incredibly low temperatures, there is no need to stop your usual routine of heading down Euclid for a daily run. I used to think that running outdoors during this time of year was unhealthy for my body, because I overheard once that “running in temperatures this low can harm your lungs.” Ha, it’s okay, you can laugh at me. Although it is good for your body to take a run outdoors during winter months, you must take precautions before you do. For instance, you better make sure your head is warm and dry. Up to 40% (or more) of your body heat is released from your head, so wearing a hat or ear muffs, is important for your health. Another important part of running outside other than keeping your head warm, is keeping the rest of your body warm, but not TOO warm. When preparing your outfit for an outdoor run, dress in layers. This will help your body maintain a healthy temperature so you do not get too cold, or too warm. Your first layer should consist of clothing that will absorb any moisture; for example a cotton t-shirt, or some Under Armour, because Under Armour always works. Your second layer should insulate your body in order to keep it warmer than the temperature outside, so try a fleece or cotton sweatshirt. Last but not least, you have your third layer. This layer is your outer layer, which should coordinate with the weather. It should be made of waterproof material in case it starts to rain or snow so you don’t get wet and cranky. 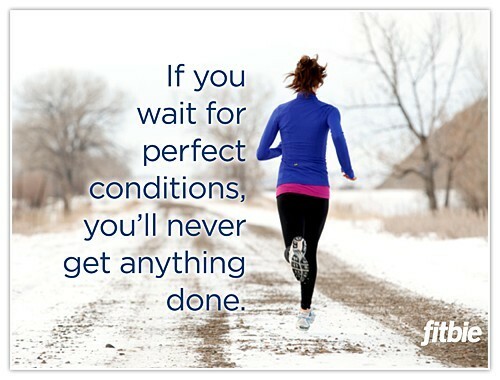 Happy winter and happy running!